On this episode of Backlog Busting Project, Wes Harrington and Randy Isbelle discuss a newer title and two older Playstation games. Randy talks Middle-Earth: Shadow of Mordor. Does it deserve the Game of the Year hype it received? What about the Nemesis system? Is it something other games will use in the future? And does it stick to the Lord of the Rings lore. He also discusses the David Jaffe Sony title that started a franchise in the original Twisted Metal. Does the game still hold up ... See More today? 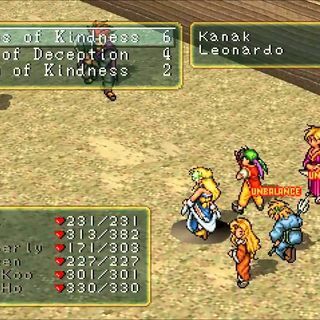 Finally, Wes talks about playing the Konami PlayStation 1 classic, Suikoden. Was this RPG ahead of its time in terms of how it dealt with gameplay and characters? What makes the game so memorable? And where does it stand in JRPG history.